If you’ve ever looked at your reflection and lamented over how much older you look, you’re not alone. Different lighting conditions can reflect your skin in different ways, revealing imperfections and capturing signs of aging that you might not usually see in normal light. Inspired by this intriguing concept, SK-II developed a new way to measure firmness in the skin using extreme lighting angles, in order to discover the unseen signs of aging at every angle. The new measurement tool measures skin firmness by casting a light in the angle that most exaggerates the signs of aging. Using a two-dimensional lighting system to highlight and measure each firmness dimension individually, SK-II scientists have been able to better capture and determine the hidden signs of aging. 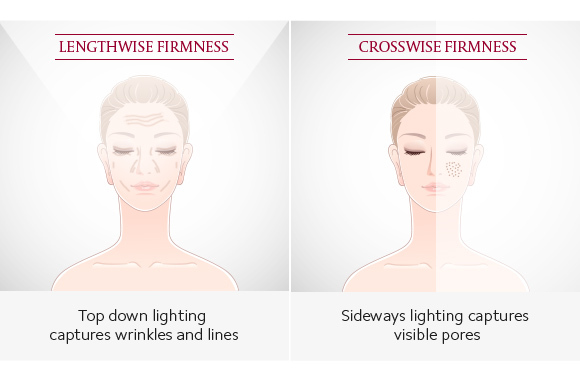 Measuring lengthwise firmness using top-down lighting uniquely captures wrinkles, fine lines and sagging, while measuring crosswise firmness with sideways lighting uniquely captures pores and texture concerns. From a 15-year skin tracking study conducted in Japan, the first longitudinal study of its kind, SK-II researchers discovered that the most critical element in skin structure for youthful-looking skin throughout the 15-year period is lengthwise-crosswise firmness. Women who had good lengthwise-crosswise firmness in the first year were found to have good skin quality even after 15 years, providing SK-II scientists with a critical goal when developing the new anti-aging product series. Armed with this finding, SK-II's award-winning team of R&D scientists set out to find ingredients that could give women this newly defined lengthwise-crosswise firmness, and hence developed the Radical New Age Complex. 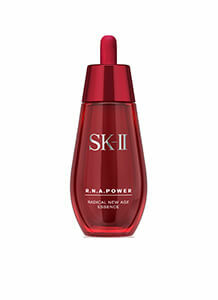 First discovered by SK-II, the Radical New Age Complex is a complex cocktail of natural yeast and soy, precisely selected from various natural sources, that have undergone a special hydrolyzation process. 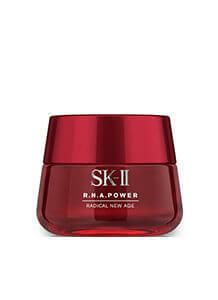 Working in tandem with SK-II's signature ingredient Pitera as well as other targeted ingredients, uniquely added to enhance the benefits of the products, the Radical New Age Complex is the key to SK-II's latest anti-aging line, R.N.A. Power. In clinical studies, R.N.A. 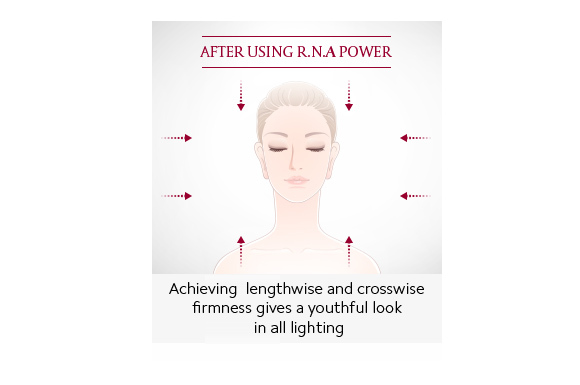 Power was proven to significantly improve lengthwise-crosswise firmness after 10 days, with visible improvement in multiple signs of aging - including wrinkles, texture, pores, elasticity, and dullness. Users experienced a natural glow emitting from the skin, also achieving improved firmness. 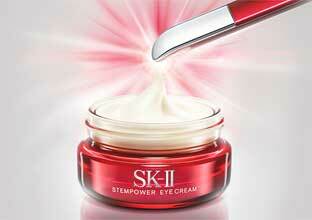 With the powerful Radical New Age Complex at its core, SK-II's latest R.N.A. Power anti-aging series gives women of every age the opportunity to control their skin destiny and achieve long-lasting youthful skin from every angle. Change your destiny, now and for the next 15 years, with R.N.A. Power.